Congratulations to Deputy Pro-Vice-Chancellor (interdisciplinary research and impact) and former Head of the School of Life Sciences, Professor Laura Green, who has been appointed as Pro-Vice-Chancellor and Head of the College of Life and Environmental Sciences at the University of Birmingham. She will take up her new role on 1 October 2018. Last year Laura was appointed an Officer of the Order of the British Empire (OBE) in the Queen’s Birthday Honour’s list for her services to the health and welfare of farmed livestock, which is just one measure of her significant international research reputation. 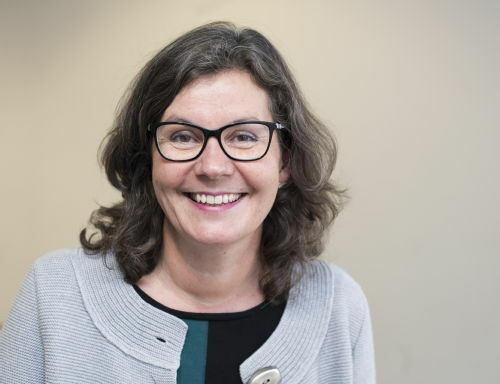 Her leadership talents have also been recognised by her appointment as Deputy Pro-Vice-Chancellor (interdisciplinary research and impact) at Warwick, and now as the Pro-Vice-Chancellor for Life and Environmental Sciences at the University of Birmingham. While Warwick is losing her to another university she is not lost to our region, and I am sure that we will continue to work with Laura on a range of Midlands partnerships and programmes."